As our son has grown and changed, so has what we need from our garden. 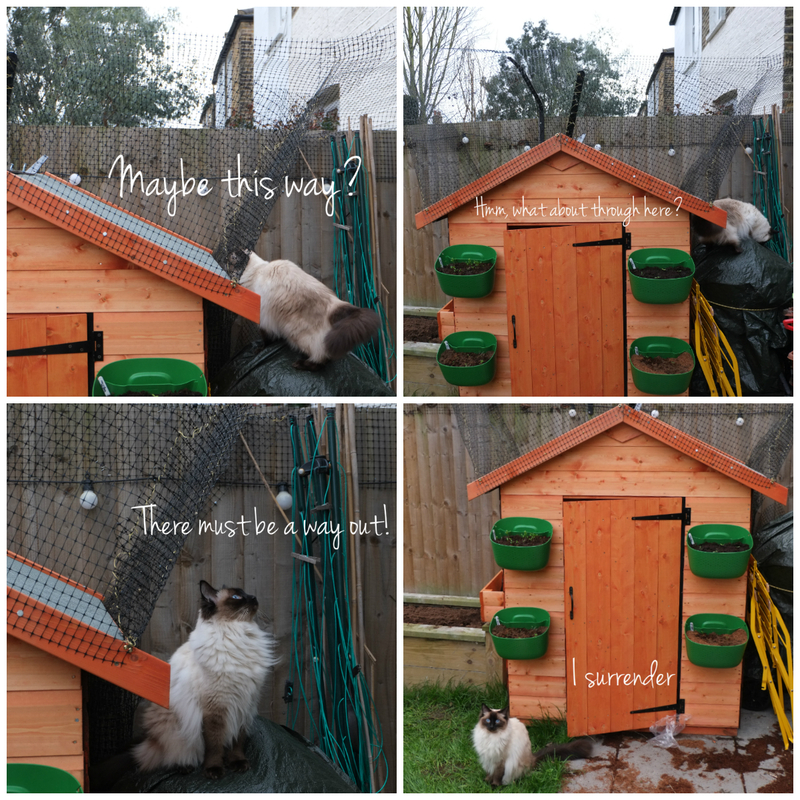 Whilst I want to grow as much as I can, GarlicBoy also needs some grass to play on, and we also need space to keep the kinds of things that I don’t want him playing with (think secateurs…) so we got him a tiny playhouse that doubles as a storecupboard when we’re not in the garden. However, the downside of that is that the cats could suddenly hop over the cat-proof fencing that we installed a couple of years ago to keep them in. I still don’t feel entirely comfortable with the idea of keeping the cats in and we’ve decided that when we leave London, we will let them roam freely, but whilst we live in town we’d rather keep them safe. 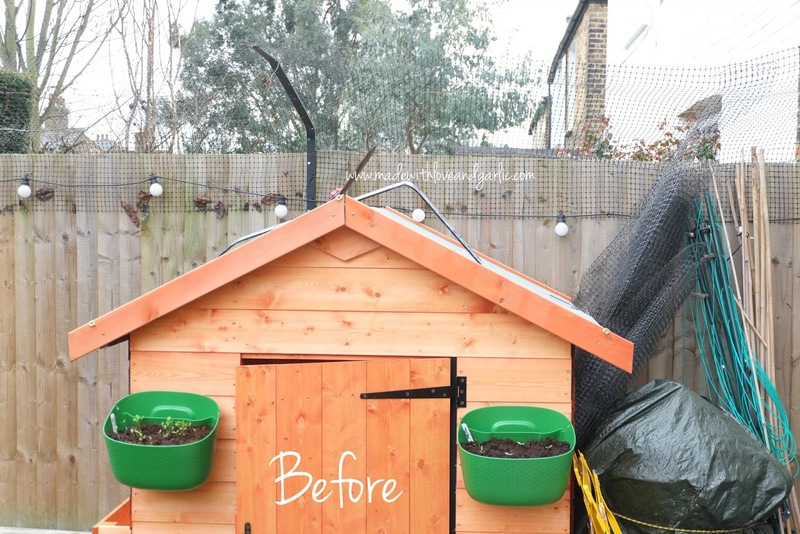 So I spent an afternoon modifying the existing fencing to cover the playhouse roof as well. It was both boring and difficult but it appears to keep the felines in (and the local moggy toughs out) and they’re enjoying being out more often again.